This is the first year for a while that we’ve been in Perth for Easter. Nearly 5 years ago on Good Friday 2011 we were enjoying a couple of nights break in Bruges, Belgium after visiting our families in the UK. 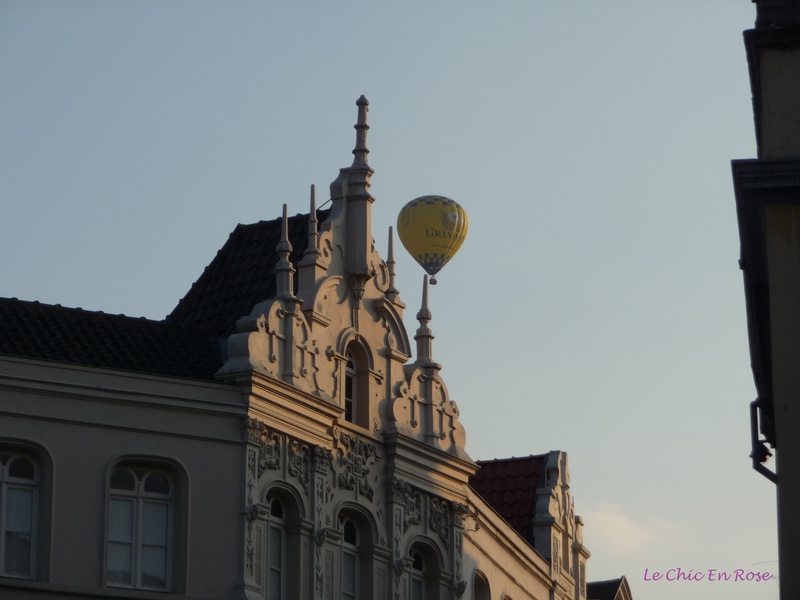 We had a lovely short break in this beautiful historic town during a particularly warm European spring before heading off to Koblenz on the Rhine and Basel, Switzerland. Belgium has been in the news for all the wrong reasons recently and the tragic events this week have affected the lives of so many innocent people. Here are a few photos of happier and peaceful times in a pretty part of the country – a more positive image of Belgium than the one currently being portrayed. Bruges, often referred to as the “Venice Of The North” owing to its myriad of canals and pretty bridges is the capital of the Flemish speaking region of West Flanders in the North West of the country. The city centre with its old narrow streets and medieval buildings is a UNESCO World Heritage Site and it is not surprisingly a huge tourist drawcard. We found it busy though not unpleasantly crowded and enjoyed wandering round the pretty old cobbled squares and streets. Bruges is certainly a town of spires – everywhere you look you see one including the famous 13th century belfry tower – perhaps the iconic image of Bruges. We also visited the Parish Church of Our Lady, home to many priceless works of art including the Madonna by Michelangelo. Many of the old buildings now house cafes, restaurants and shops. We certainly enjoyed our fair share of Belgian hospitality during our visit including beer (Monsieur Le Chic particularly! ), wonderful fish and seafood (you’re close to the North Sea coast) and plenty of samplings of the renowned Belgian chocolates! We were also very taken with the shops selling the famous lace and tapestry work and came home with several tapestry cushion covers, which are still in daily use back home. I particularly loved the way the old medieval buildings jostled for space in the crowded old town! We were centrally based in a delightful boutique hotel near the town centre, the Tulierieen. 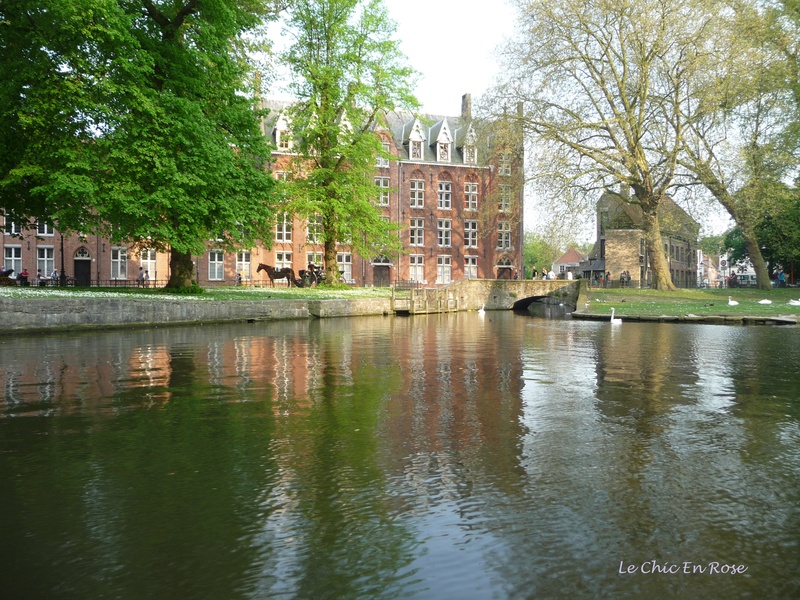 This chic and elegant hotel is situated in what was originally a 15th century town house and overlooks the Den Dijver canal just 50 metres walk to the main Market Square. It was also apparently used as the base for actor Colin Farrell during the filming of “In Bruges” (rather a dark comedy thriller and certainly not my cup of tea). Of course we did the almost obligatory canal cruises (in fact we did a couple of them). Admittedly they are touristy but you can’t go past a cruise for getting a full perspective of the charming old town and a feel for life in its trading heyday. We admired the distinctive oxblood red of some of the old merchants’ houses along the canal and the famous gabled Flemish roofs. Bruges is the perfect spot for a long weekend or a short break and one day we may well come back here again. In the meantime wishing everyone a safe and happy Easter holiday! Gorgeous pictures Rosemary, you’ve captured Bruges perfectly. We love it there too, such a fairtytale place and the food and chocolate are the icing on the cake!! The weather looks amazing too for early spring, we visited in summer and had our share of rainy days but it looks like you had perfect blue skies. Hope you have a lovely Easter in Perth. I love Bruges! I visited in winter when it held the super charming Christmas markets, but meant I couldn’t take a canal cruise…guess I’ll just have to go back! Bruges must have been picturesque in winter Becky!I have had the Christmas markets in Europe on my wish list for ages but we don’t usually come over to Europe in the winter months – prefer it when it’s getting a bit warmer! The Christmas markets in Bruges must have been enchanting 🙂 However yes you’ll have to go back for a canal cruise – it’s such a great way to see the town and the old buildings we loved it! Yes I’d love to go one year! Plenty of gluehwein should help with the cold winter weather! We were there at this time two years ago and also had amazing weather – I have a similar picture of me sitting outside a cafe in a t-shirt. We loved it – and I also loved the film In Bruges, despite it not being my normal thing either. I’d seen it before we went, then we watched it together after we came back and it was fun spotting the locations (and where they’d taken liberties with them). And the Bruges dog was in it, did you see him? He looks out of a window onto the canal, he was in the film and I googled home afterwards and there are loads of pictures of him. Thanks for the memories. Oh no! He must have been quite elderly already when we saw him then. I was very sad to read about it apparently he was nearly 13 and his owner had to make the difficult decision to have him put to sleep as he had developed a serious illness. She says she won’t get another dog as he is irreplaceable – he was such a wonderful looking dog! Yes apparently his owner had a bed and breakfast place and tourists came there just to see him – he’ll be greatly missed. A lovely post about a lovely place. Enjoy the long Easter weekend at home this year Rosemary. Thanks Ruth! It seemed a good point to write about Bruges – we had a lovely time there 🙂 Have a wonderful Easter too! I’d love to visit Belgium, and Bruges, some day. My cousin has spent time there and loves it and your photos also make it look so appealing! SO hard to think about what this country is dealing with now, though. Bruges is a charming place Kerry and we really enjoyed our visit there. Only briefly passed through Brussels though both daughters have stayed there. It’s horrible what they must be going through – Brussels always looks such a pretty place to me but recent events must be effecting the poor people there so much. I’d certainly like to go back to Bruges again some day! I loved the story on the canal cruise, as we passed the brewery. The claim was that the very canal water was used for brewing their beer – “but only for export”. I wonder what the beer tasted like?!! Bruges looks delightful, it’s now on The List. Hope you had a lovely Easter. Bruges is such a wonderful city! I love the historical buildings and the atmosphere overall. Lovely pictures!!! Thank you for taking me back there 🙂 Have a great week! 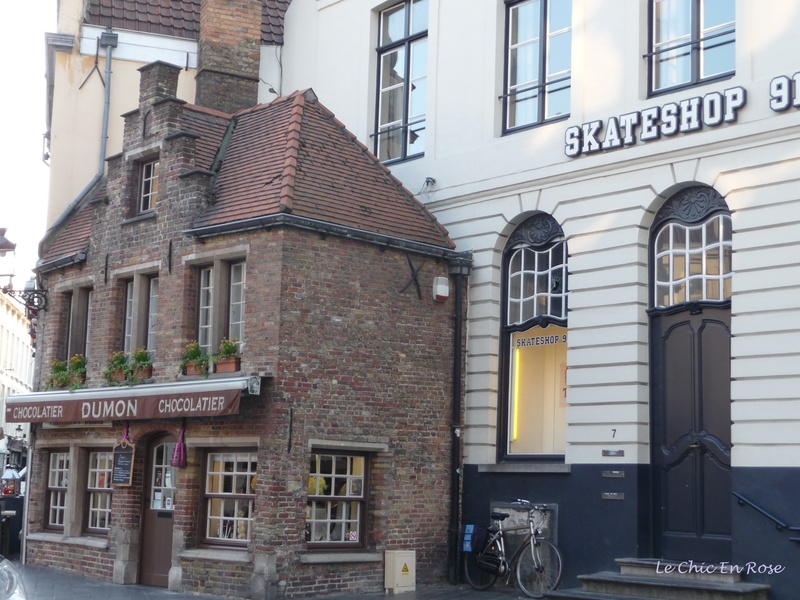 We’re going to Bruges next month so the timing of this post was perfect for me. I even checked your hotel but it was full on our nights. Thanks for a wonderful introduction. Any other advice would be welcome as well. Bruges is a side trip from a cruise out of Rotterdam to Portugal, Spain, and Gibraltar. Last time we were in Belgium we missed it so I feel compelled to pick it up this year. It’s been one of those travel regrets that I can finally rectify! Thanks for the tips.